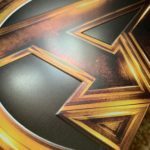 Marvel presents Marvel’s Avengers Assemble, the Super Hero team-up of a lifetime. Iconic Marvel Super Heroes Iron Man, The Incredible Hulk, Thor and Captain America assemble for the first time ever in this new action-packed Marvel saga, starring Robert Downey Jr., Scarlett Johansson and Samuel L. Jackson, and directed by Joss Whedon. 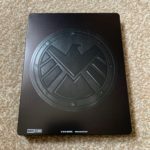 When an unexpected enemy emerges that threatens global safety and security, Nick Fury, Director of the international peacekeeping agency S.H.I.E.L.D., finds himself needing a team to pull the world back from the brink of disaster. 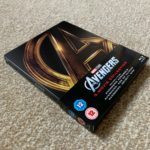 Marvel’s Avengers Assemble is packed with action, adventure and spectacular special effects. Marvel Studios presents the global phenomenon Marvel’s Avengers: Age of Ultron. Good intentions wreak havoc when Tony Stark (Robert Downey Jr.) unwittingly creates Ultron (James Spader), a terrifying A.I. monster who vows to annihilate humanity. 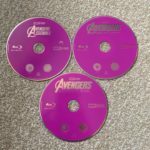 Now, Iron Man, Captain America (Chris Evans), Thor (Chris Hemsworth) and The Hulk (Mark Ruffalo)—alongside Black Widow (Scarlett Johansson), Hawkeye (Jeremy Renner) and Nick Fury (Samuel L. Jackson) —must reassemble to defeat Ultron and save mankind…if they can! 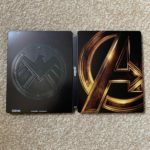 An unprecedented cinematic journey ten years in the making and spanning the entire Marvel Cinematic Universe, Marvel Studios’ Avengers: Infinity War brings to the screen the ultimate showdown of all time. The Avengers and their Super Hero allies must be willing to sacrifice all in an attempt to defeat the poweful Thanos. 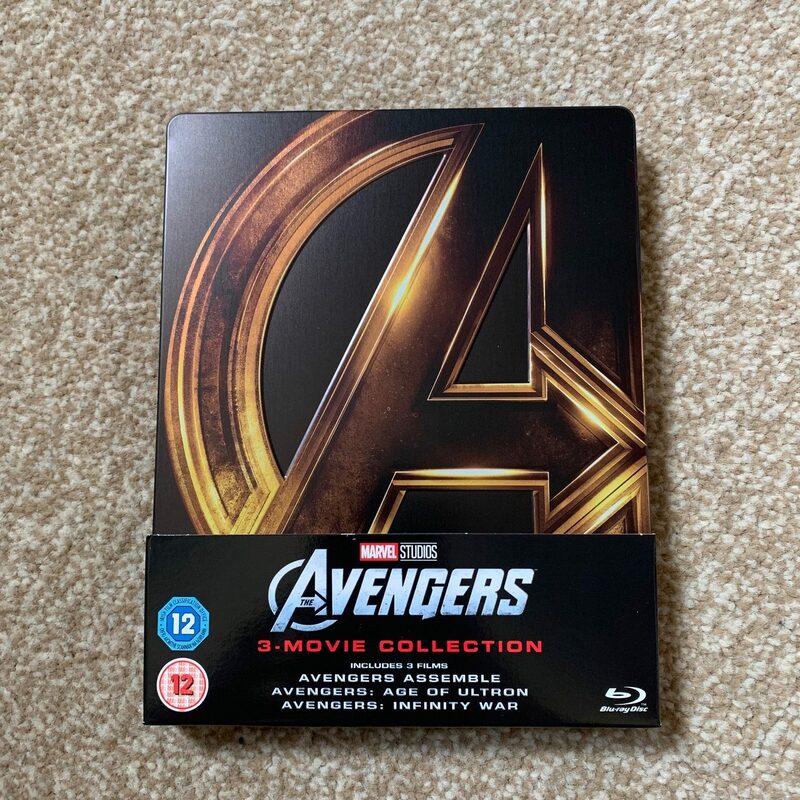 The SteelBook houses the three movie 2D Blu-rays of Avengers Assemble, Avengers: Age of Ultron and Avengers Infinity War. 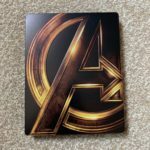 The SteelBook itself is completely matte finish but does have some nice debossing around the Avengers ‘A’ symbol. This is a very nice release but at the same time commands a high price tag that seems more fit for a 4K release as opposed to 2D. 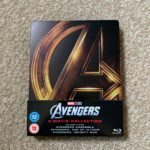 However, this is another must for all of the Marvel nuts out there.